Briar Roses are known for their apple scented leaves and flowers that have a scent of their own. This all wool 13" round mat is available as either a Primitive or a Shabby Chic kit. The primitive kit has a black background with red roses. The Shabby Chic kit has an off white background with pink roses. 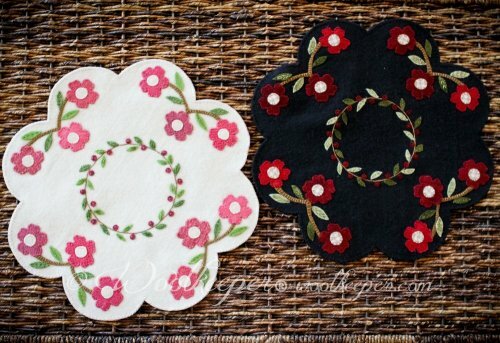 Embroidery embellishes the center along with rose buds.